Today is raining as hell in Barcelona, so we want to suggest a possible option during the weekend. And you can have fun and satisfy your curiosity visiting the MiBa MUSEUM, the innovation and ideas museum of Barcelona. Three big proyects are being planned in Spain this week, which will turn upside down the spanish tourist and leisure scenario. Las Vegas Sands Chairman and CEO Sheldon Adelson announced the decision to choose Madrid over Barcelona for the multi-billion dollar gambling resort project “EuroVegas”. This gambling complex would have 36.000 rooms and is supposed to be Europe’s biggest gambling spot, which obviously is a very interesting proposition. However, the American businessman announced that Las Vegas Sands was only willing to finance 35% of the multibillion-euro resort, and that it would demand certain changes in local planning laws. We can’t wait for the following films to come as “Fear and loathing in Madrid”, “What happens in Madrid…” or even “Hangover: Madrid Edition”. But Barcelona also wanted his candy! Places we love because of their madness. Part II. Let’s finish the previous post with more of the craziest buildings ever built in spain. Número Ocho: Ariane 5 at Sevilla’s Expo. What is it: The Expo Sevilla 92 changed Sevilla completely. Sevilla has always been a traditional city and the Expo opened it to the world. Lots of beatiful buildings are still at the old Expo’s terrains, one of them this Ariane 5 exact copy. There’s no need to go to Cape Kennedy to see rockets! What do we think when we look at it: ehm… the Ariane 5? Número Nueve: Hungary’s pavilion at Sevilla. Places we love because of their madness. In Spain, of course. We wanted to make a small post about the craziest buildings you can find in our lovely country. But after doing some research…Wow… we cannot name all of them in just ONE post! Número Uno: La Ciudad de las Ciencias y de las Artes de Valencia. 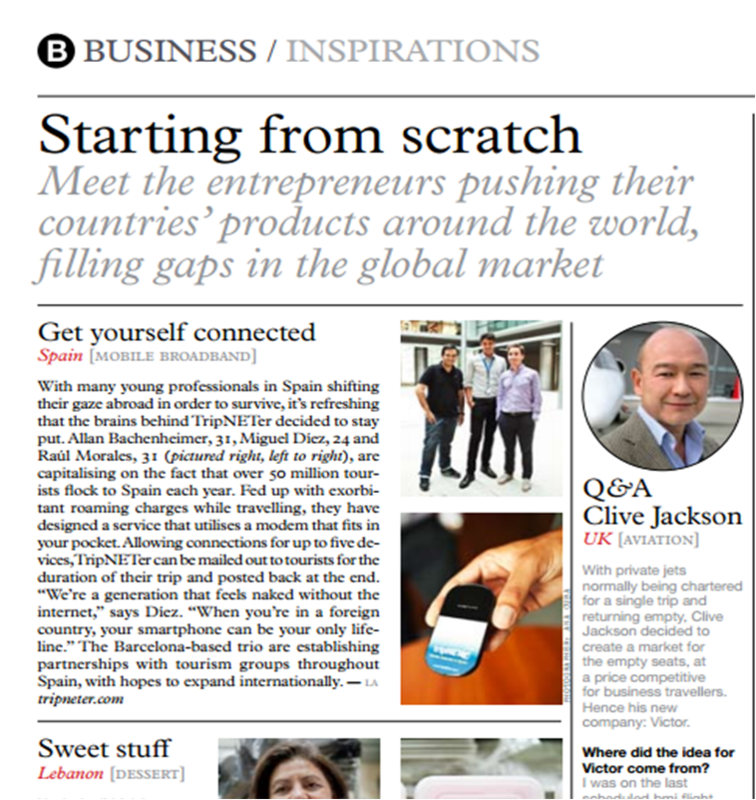 tripNETer had the great honor to taking up little space in the prestigious Monocle Magazine. In the last two years this magazine launched a summer newspaper, called “Monocle Mediterraneo”, and our young entrepreneur company appears in the Business/Inspirations section. From here we thank Monocle and we leave a capture of the section and we present the full transcription of the article. With the olympic fever burning a hole in our broadcast media, we cannot help having nostalgia pictures crossing our mind (in low-definition, of course). 20 years have passed since the Olympics Games were held in Barcelona, opening the doors from a city and a country that was waiting to be discovered. 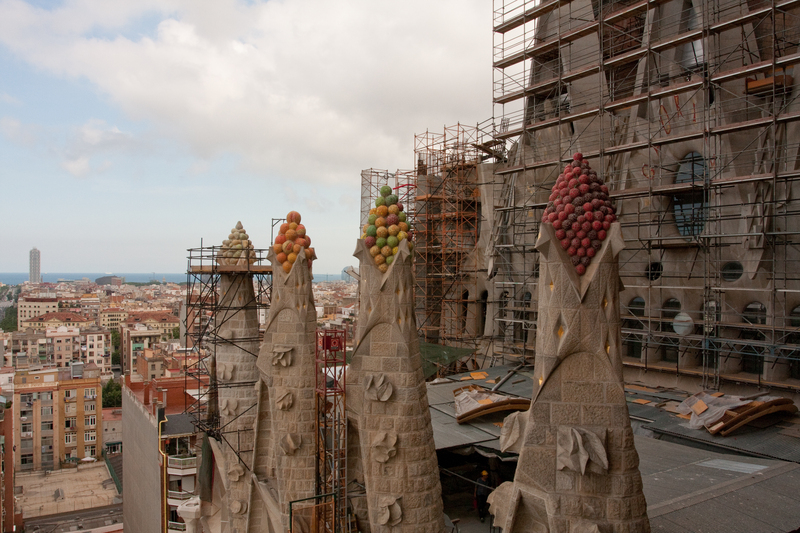 But this is not a story about the billion-times-photographed Sagrada Familia. It is not the only impressive and unfinished cathedral that you can find in Spain. Today we are speaking about what is known as ‘The Cathedral of Justo Gallego’. La Sagrada Familia is placed in the port city of Barcelona, while ‘The cathedral’ is being built miles away inland, in a small town called ‘Mejorada del Campo’ near Madrid. Antoni Gaudí was a man of exquisit education and was supported by one of catalonia’s biggest fortunes of that time. Justo Gallego (this storie’s star) is an uneducated farmer and bullfighter. At the age of 36, in the middle of a severe tuberculosis, he promised the Lady of the Pillar he would build a shrine in her honour in exchange of his health. When Valencia turns into a F1 Circuit. Yesterday we were reading our friend’s Lucía awesome blog dedicated to the F1, and we discovered a vast F1-world which was unknown for us. This weekend takes place the Grand Prix of Europe in Valencia so we’re taking a closer look to this F1-fever. 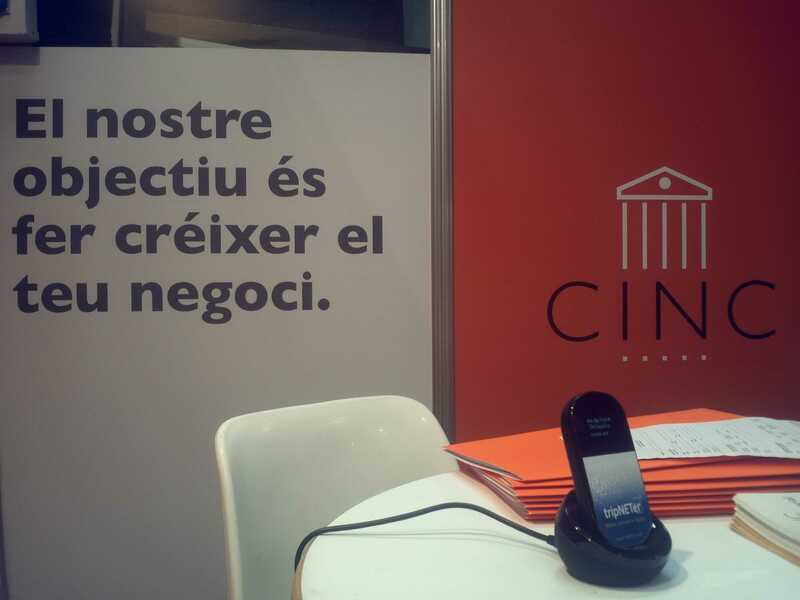 tripNETer was last week in BizBarcelona, the enterpreneurship meeting fair! The CINC actually used two tripNETer devices to stay connected full time and without limits. Anyone has also been there? tell us in the comments!